Dear friend, i believe many of you have been disheartened by the recent boring market. The Market is actually still good as there is still many good trend to be spotted. 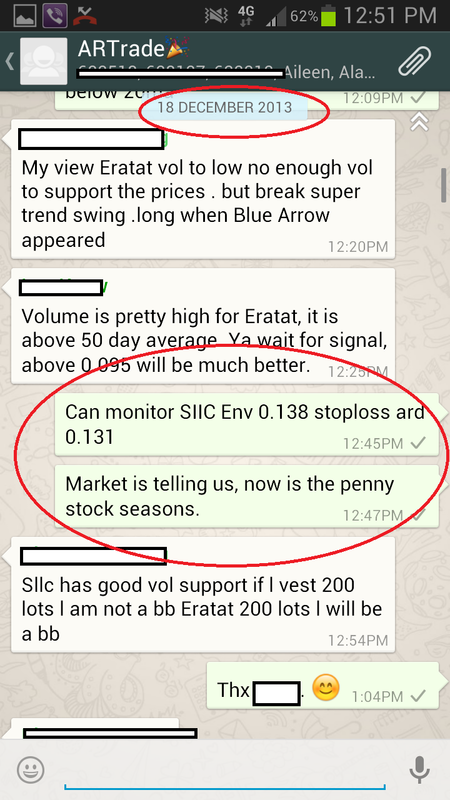 Below are some encouragement for you, showing the ART of riding trend, the market have been doing well for our student as we have been working hard on spotting good trending stock. 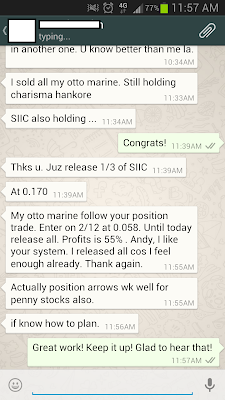 One of our student gain 55% on Otto Marine. 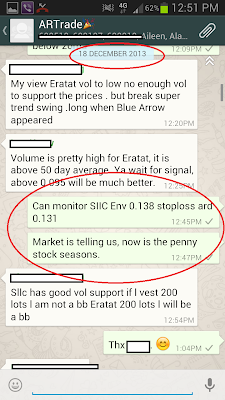 Current price of SIIC is 0.183, if followed our plan, now is 32% gain. These are trades which is done by full time trader. 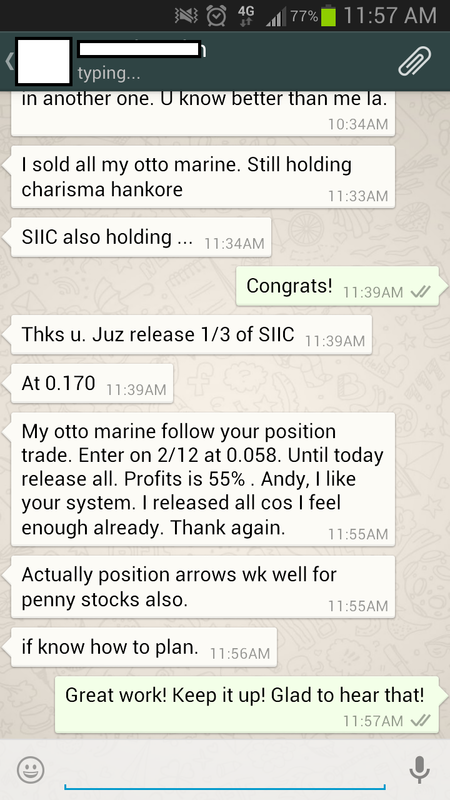 If you want to know more about our program for full time trader, pls drop me a message here.